Reducing Bandwidth Through Privacy Masks? Reducing your surveillance bandwidth means lower storage costs and better remote monitoring. As such, professionals are always looking for techniques to do so, including improved codecs (MPEG-4 to H.264, H.264 Baseline to High Profile), VBR vs CBR modes, etc. However, what if those privacy masks could be used to reduce bandwidth? 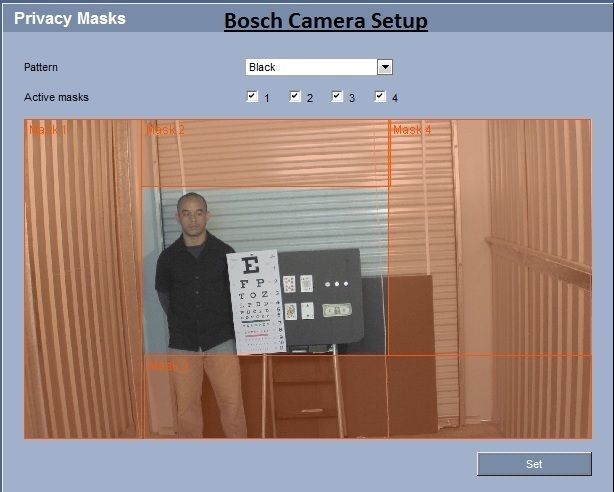 In this test report, we try out privacy masks from Axis, Bosch, Panasonic and Sony to see if they could deliver savings. We apply masks and track bandwidth utilization before and after plus review the masking capabilities of each manufacturer. Using privacy masks is definitely a promising technique to significantly reduce bandwidth. However, you should do tests on each manufacturer you plan to use to see if it makes a difference. The tests can be done in a few minutes: (1) measure bandwidth with no mask, (2) apply masks, (3) re-measure bandwidth with the masks now activated. If you see a noticeable drop, you are good to do. Axis: The comparison below shows that applying 3 masks dropped the bite rate by ~60%. Obviously, the amount of bandwidth reduction will depend on the size of the masks but clearly this has a positive impact. Bosch: In the Bosch comparison below, we see a significant drop as well. Note, we adjuted the encoder / stream settings to allow the Bosch to act more like a VBR camera (see our explanation in the VBR vs CBR post). In general, we recommend this for Bosch cameras, with or without privacy masks. Our assumption is that Panasonic first encodes the whole video, then overlays an image/mask, resulting in no bandwidth savings. 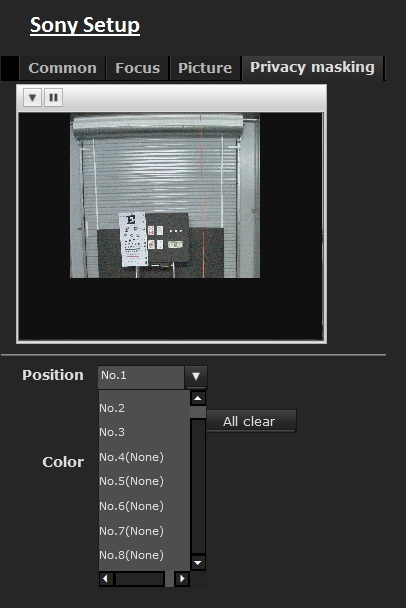 Note that we used Panasonic's recommended 'Frame Rate' mode which is a constrained VBR implementation. Panasonic says that this mode will allow "The bit rate [to] be controlled between +- 50% of selected Max bit rate." We used the default max bit rate of 4Mb/s for this camera. As the results above show, the bit rate did vary between the two scenes but not between the mask on vs mask off attempts. Each camera had important differences in configuring privacy masks. The Axis supported a maximum of 3 masks. Each mask needed to be applied / controlled individually, making it moderately cumbersome to setup. 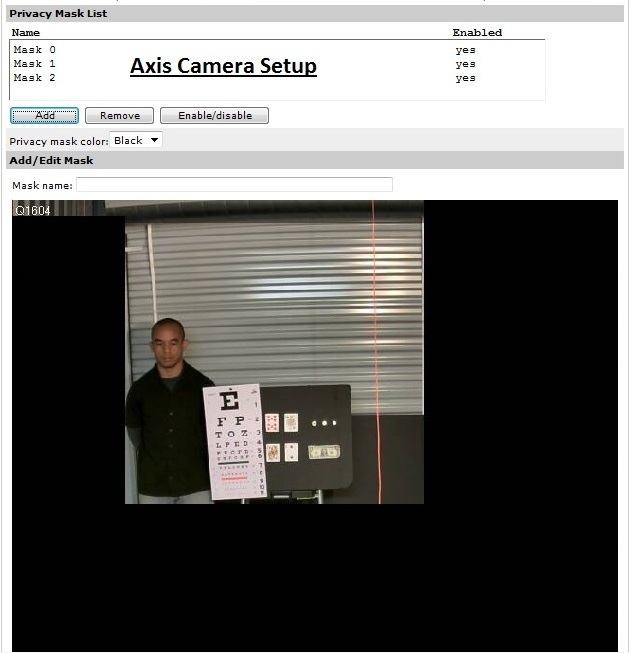 Bosch had the best configuration options of the cameras tested. Not only did they support 4 masks, it was simple to position the masks and activate them. 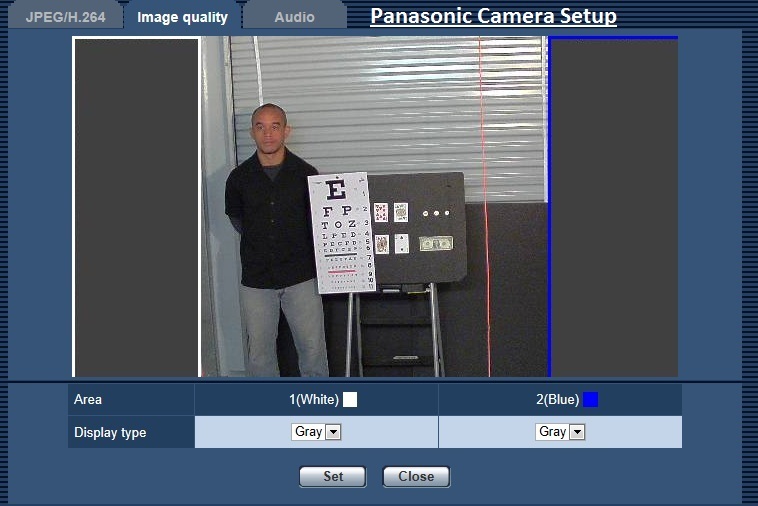 Panasonic had the worst and most limited setup of the cameras tested. It only supported two masks and it was very difficult to position them as the mask edges did not support dragging / adjustment.